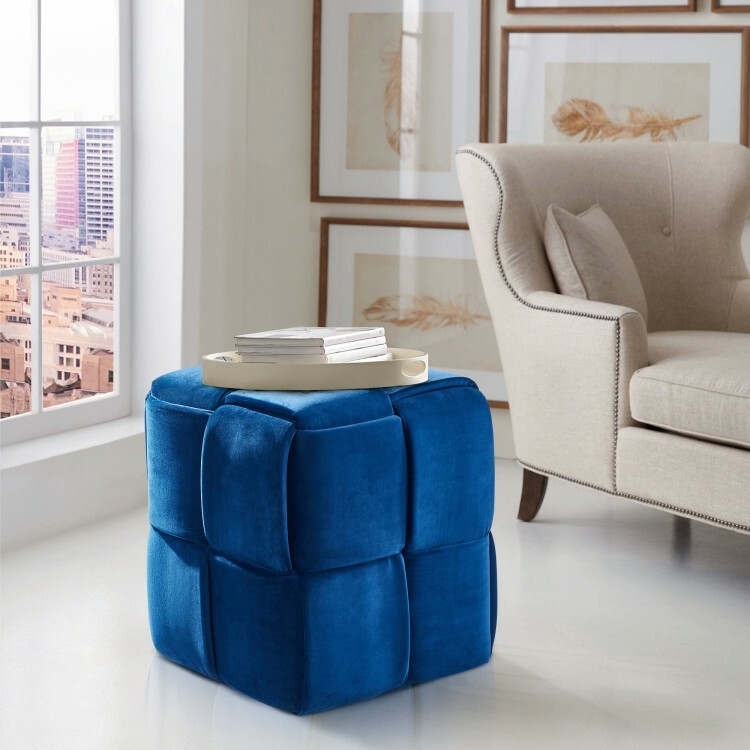 The Armen Living Joy contemporary short ottoman is a beautiful addition to the modern household. Featuring a unique weave design, the Joy is an ideal fit for the living room, yet practical enough to function well in just about any room of the house. 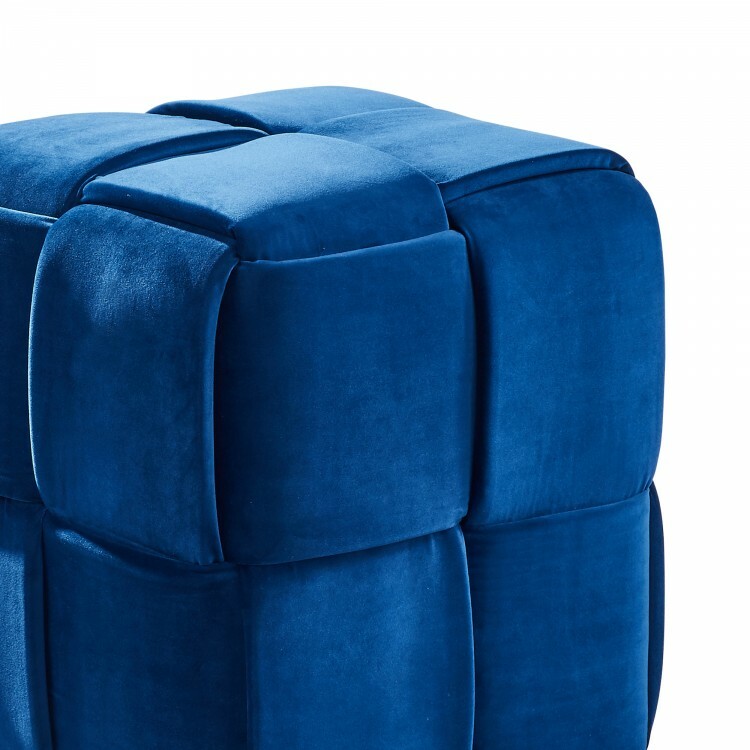 The Joy's upholstery is made of a rich velvet while the frame is made of wood, assuring both durability and style. 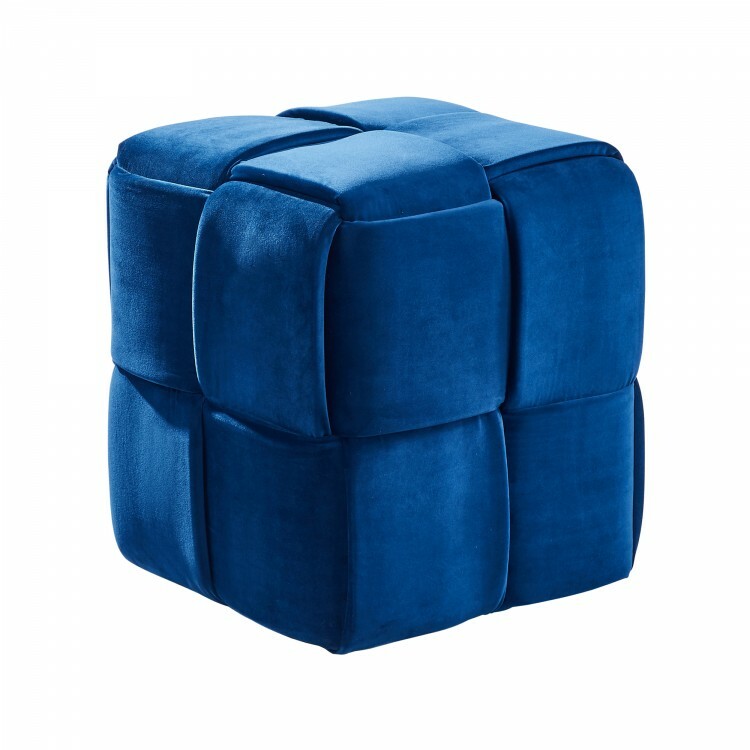 The Joy is available in your choice of blue or gray velvet. Product Dimensions: 17"W x 17"D x 18"H SH: 18"